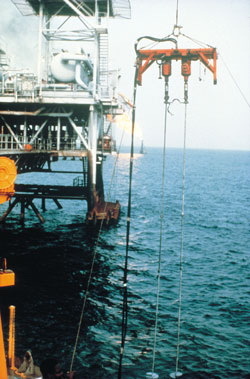 Pipeline helical (screw) anchors have been used for decades in the oil and gas pipeline industry. They are a well established technology recognized worldwide as an economical and practical solution for onshore pipeline buoyancy control, offshore pipeline buoyancy control, offshore pipeline stabilization and pipeline span rectification. Lightweight materials, smaller equipment and smaller crews means even on the toughest, most remote projects, pipeline screw anchors offer a more practical solution for your buoyancy control needs. This results in an improved construction schedule and an overall reduction in costs for your pipeline buoyancy control. Pipeline helical anchor components are readily available. 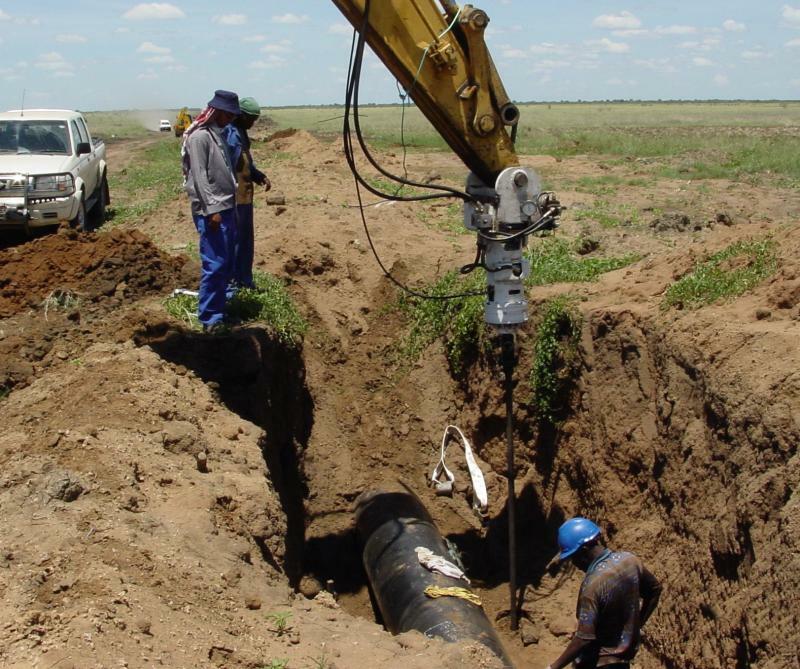 However, to take full advantage of all the benefits a pipeline anchoring system has to offer, you need a construction partner who not only can provide you with quality materials, but has the experience and know how to get the job done, on time and on budget. TerraTorque is the company to call on when you need professional field support after the material sale. 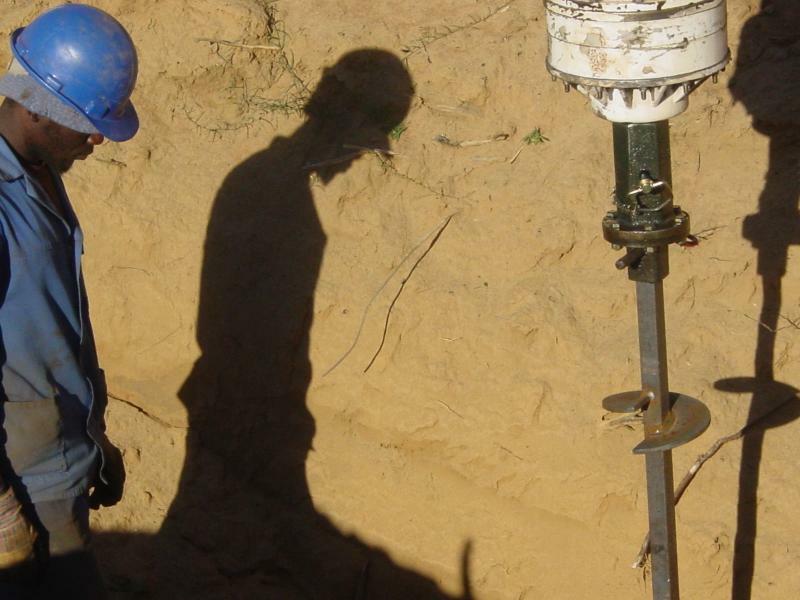 Our personnel have more than 30 years of experience installing pipeline anchors on challenging projects worldwide. We know what it takes to get your job up and running without delay. TerraTorque will ensure your pipeline anchors in every way meet or exceed your expectations for a safe, efficient and cost effective pipeline buoyancy control system. We have the knowledge and experience. 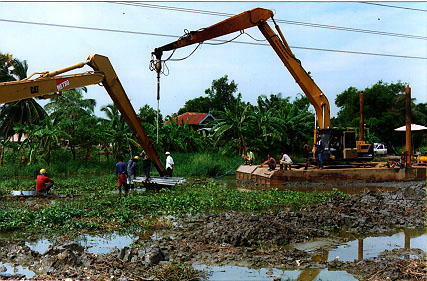 When pipeline buoyancy control is part of your project, give us a call. Put TerraTorque to work for you. 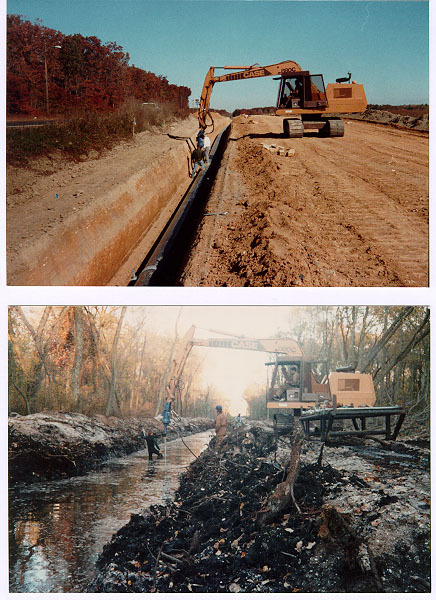 TerraTorque's pipeline anchors offer numerous advantages for pipeline buoyancy control when compared to concrete systems, especially for remote and difficult to access pipeline projects. Because helical anchors are lightweight and efficient, transportation, handling and installation costs of buoyancy control materials are dramatically reduced. TerraTorque utilizes products that are manufactured from high quality materials in a manufacturing process that adheres to all applicable welding codes and good practices. Third party testing of components along with our quality control system ensures all products supplied will meet or exceed our customer's expectations. The simplicity of the design makes it easy to apply in the field. Utilizing TerraTorque's hydraulic motor/gear box drive units mounted to standard support equipment such as excavators means you can be up and running quickly. Basic crew training can be carried out in a few days as work is proceeding. Crews will quickly learn how to safely and effectively perform the pipeline anchor installations and testing. 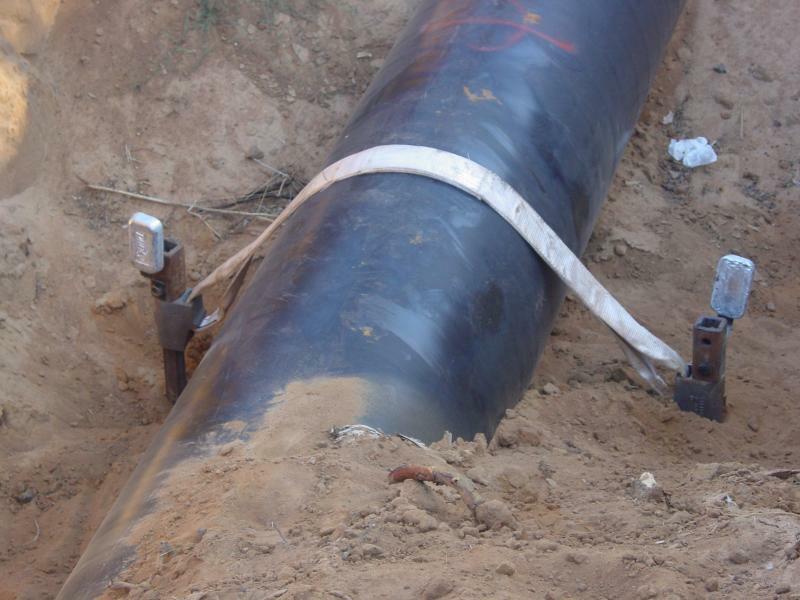 The information needed for designing your pipeline anchoring system is typically readily available. Simply provide your basic piping specifications, construction details, project scope, available soil data and job location and we will provide, at no cost or obligation to you, a preliminary design and cost estimate for your project. The details may also be submitted in the "Contact Us" section of our website. ...or anywhere concrete weights or coating is being considered. 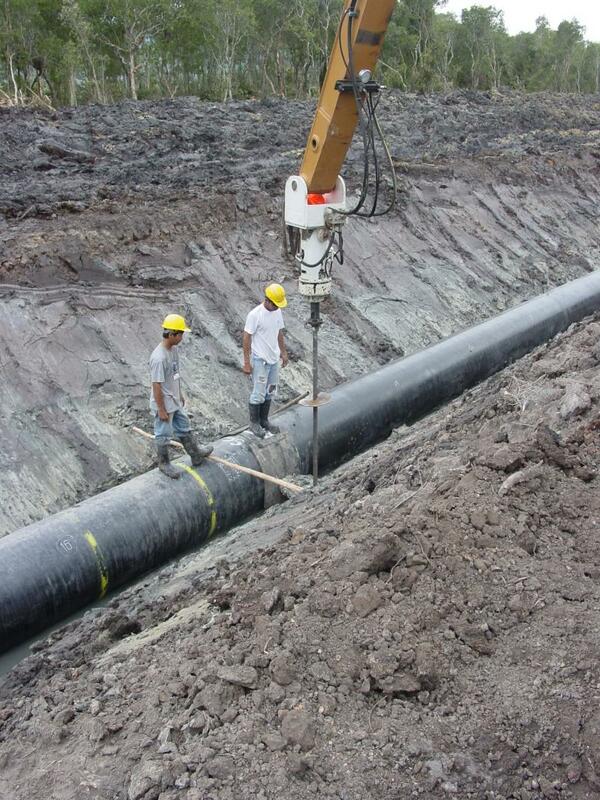 TerraTorque is a full service pipeline anchor system supplier. Our quality products and on time deliveries, coupled with professional designers, fabricators and experienced technical field support means your project requirements will be met in a safe, professional and cost effective manner. Whether you need material and equipment supply, onsite crew training, buoyancy control management, or a complete turnkey installation package, TerraTorque is the only call you need to make. Let us put our experience to work for you on your next project.